The NTSIM in conjunction with the TIMES will be sponsoring open youth sessions for the D/FW Metroplex. The sessions are open to all Irish youth musicians and are provided at no cost. 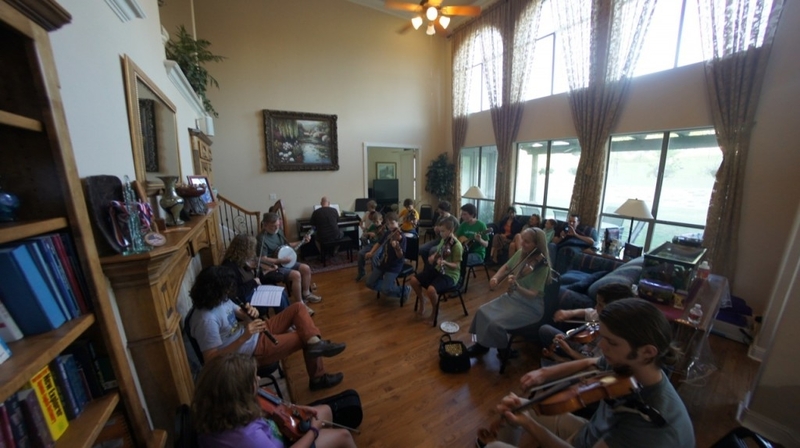 The Irish Music Session is a gathering of people who come together to play traditional Irish tunes. Typically, different people will call out a tune name or play the beginning of an Irish tune, and if others in the group know the tune, they will jump in and play along. The event is very informal. It is not a performance, but more a casual opportunity for people to play some tunes, talk, and have fun. We may have the beginner session first, or in a different room than the others but all will be on the same day. If you are interested in coming to a session, please email clare.cason@gmail.com and we can give you more details!